On February 28 th individuals from across the state participated in a Behavioral Health Wellness Fair at the Capitol in Sacramento. 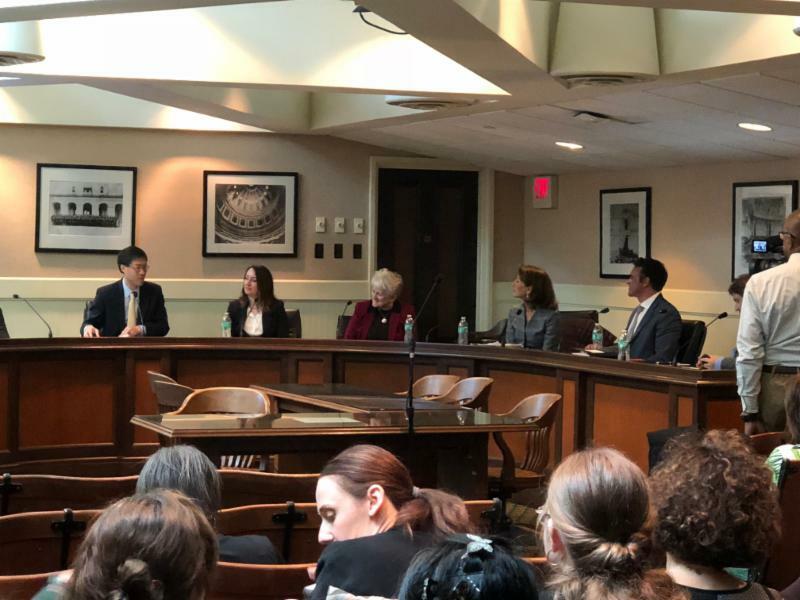 The day consisted of members meeting with elected officials, sharing resources through a wellness fair, and an opportunity to attend an informational hearing led by Senator Richard Pan, M.D. titled, “Mental Health Delivery: The Global Forefront” focused on hearing from implemented best mental health practices around the world. NAMI California is appreciative of individuals who participated representing geographic areas from Bay Area, San Joaquin, Solano and Amador counties. In addition, participants embodied diverse communities on behalf of the LGBTQ, African American, Latina, and Asian populations. People shared their lived experience touching upon various cultural barriers, factors and stigma with a collective connection to access to treatment. 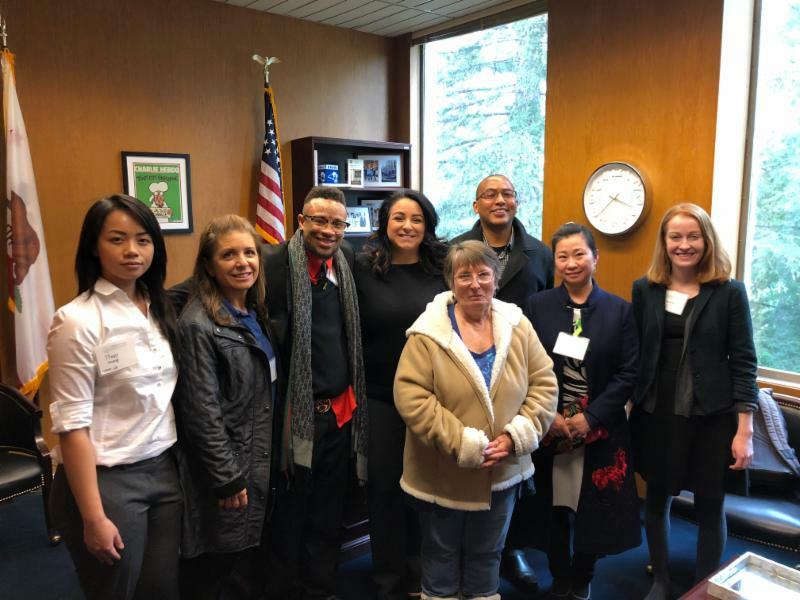 While engaging diverse advocates with legislative staff we ultimately provide stigma reduction and cultural competency awareness to policymakers. Mental health impacts all and as one attendee put it, “We are not alone”. NAMI California looks forward to creating and participating in additional advocacy events for many years to come. We also want to make sure we are actively engaging and reaching underserved communities throughout the legislative process. Our goal and hope is that we will have every community represented during these legislative visits and work to make sure all communities have a voice and can influence proposed mental health related legislation. For a video of the full briefing with Senator Pan, click here . ﻿Stay connected for updates on our bill support list, which our advocacy team will be releasing soon! "I look much like the other mothers in the neighborhood, but life remains a precarious balancing act. I can get easily overwhelmed. My moods shift given change in weather, season, and life events." On January 16, 2018 NAMI San Diego presented to the Southern Indian Health Council. This presentation included information on NAMI San Diego’s programs as well as California’s mental health movement: Each Mind Matters. 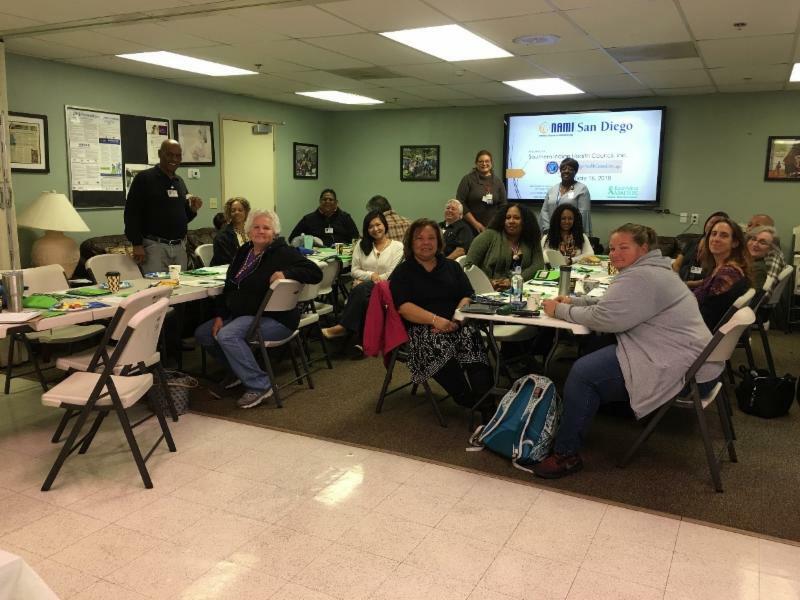 Through sharing their lived experience as family members of loved ones living with mental health challenges, the NAMI San Diego presenters helped to form a report with the Southern Indian Health Council. It was important for NAMI San Diego to acknowledge cultural differences regarding systems of mental health care.  It is important to note that while evidence-based practices may be the common health standard, there are also cultural practice-based evidence healing techniques that must be supported and accounted for. Ultimately, NAMI San Diego hoped to inspire participants to become Family to Family presenters. This goal was realized when an eager participant reached out to NAMI San Diego to express interest in this matter. Overall, the event helped NAMI San Diego to reach out and form relationships with the Southern Indian Health Council, to hopefully become involved with more events in the local Native American Community in the future. On February 17, 2018 NAMI Ventura County held a wonderful event titled African American Community Mental Health & Wellness to celebrate Black History Month. This event aimed to create awareness and reduce stigma surrounding mental illness for the African American Community. Importantly, NAMI Ventura County sought to both learn more about and create awareness of how services can be culturally competent to best serve this community. NAMI Ventura County hosted several speakers and allowed for a question and answer session after each speaker. The Interface Children and Family Services conducted a presentation on human trafficking and its impact on mental health. This helped to establish a new relationship between NAMI Ventura and Interface Children and Family Services. The Women’s Ministry from Bethel AME conducted a presentation on how the church can support persons with mental health challenges. Dr. Pastor Oden from Bethel AME also presented on sexual harassment in the church and how it impacts people and their mental health. Finally, NAMI Ventura provided breakfast and lunch at the event, with ample time for socializing. This allowed attendees to get to know one another while being able to share their personal thoughts and stories regarding mental health in the African American Community. Overall, the event was a great success as can be seen through one quote from an attendee, “This has really shown me that my uncle has mental illness and we have tended to look the other way about it for a long time. We will try to get him the help he needs now. 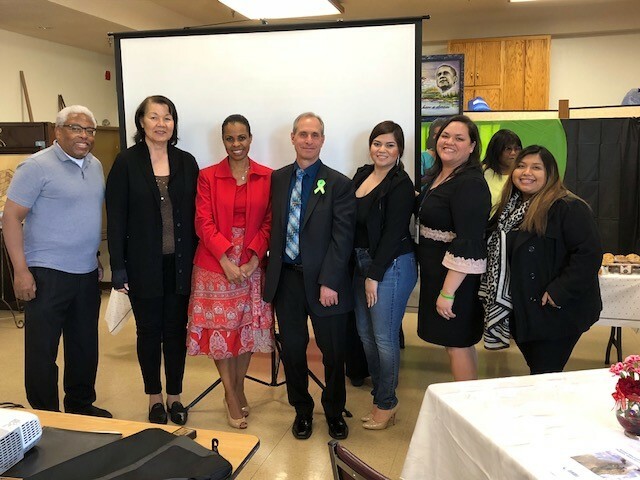 Thank you so much for bringing this to us.” NAMI Ventura’s event helped to reduce stigma, spread awareness, and increase the cultural competency of mental health services provided to the African American Community. Last month Dinuba High School Health Occupations Students of America (HOSA) and Orosi High School HOSA gathered with about 3,000 teachers, students and community members for a spirited competition between each campus. The high schools competed in order to raise awareness for NAMI on Campus and contribute to the HOSA State Leadership Conference Service Project for 2018 (NAMI) by offering community service hours and a financial donation opportunity. A Kiss-a-Pig event was decided for the superintendent of the losing school district. COJUSD and Dinuba school district would fundraise for a given amount of time and in the end would see which school district raised the least amount of money and the losing superintendent would go to the winning campus to kiss a pig. Last week, the Dinuba superintendent, Mr. Rodriguez, came to Orosi to kiss the pig at the event awards ceremony. The students raised over $3,000, with winning campus Orosi High raising $2,523.37. Both schools will receive special recognition from both the State Leadership conference and International Leadership conference. The funds raised are in addition to the many volunteer hours committed to the project. Dinuba is in its second year as a club and OHS is just starting its NCHS. The groups learned about NAMI on Campus at their HOSA regional leadership conference in October and then began the steps to establish a club on campus. Students were eager to continue their work after the events, asking organizers, "What can I do to help people with mental illness?" and, “I can't wait to help other people in our community. How do we get started?"